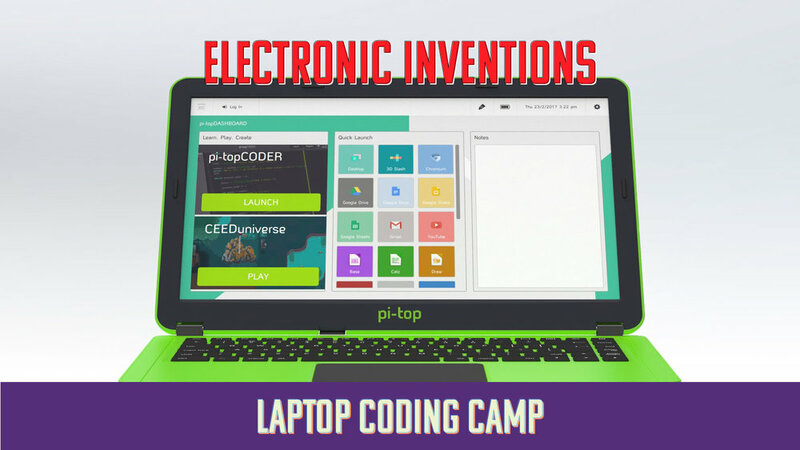 Campers will quickly assemble their own pi-top module laptop and become oriented on how to create things like an LED light and sound show, musical instruments, and games. Campers will create really cool stuff during class by using a simple electronics kit that will teach them the basics of wiring and coding. By the end of the class, they will have created many simple inventions that we will post to our camp blog (so parents can see) and will be prepared to invent new things after camp by following a host of accessible online tutorials as well as through their own creativity! The laptops also come with a lot of software that kids can use on their own at home to learn more about coding and have fun. Camp - Day 1 Construct a laptop computer, invention orientation / LED lights and sound show. Camp - Day 2 Build a theremin. Build a synthesizer. Camp - Day 3 Create an alarm system. Combine the instruments you previously made into one truly unique instrument. Camp - Day 4 Build a game to test your reflexes. Build a game to test how fast you can push a button. $199 for 4-day, 12-hour Camp plus $320 for your own laptop/coding kit. Select the dates and Laptop Coding Camp sessions that work best for your camper. There are morning and afternoon sessions available in June and July. Morning sessions run from 8:30am to 11:30am. Afternoon sessions run from 12:30pm to 3:30pm. Hello, my name is Spencer. I have been a high user of technology my entire life. I remember the feeling of satisfaction I experienced when I programmed my calculator in math class so that it would automatically solve the types of problems I was being asked to work on. Sometimes I would have fun programming "viruses" on other kid's calculators just to mess with their results for fun! 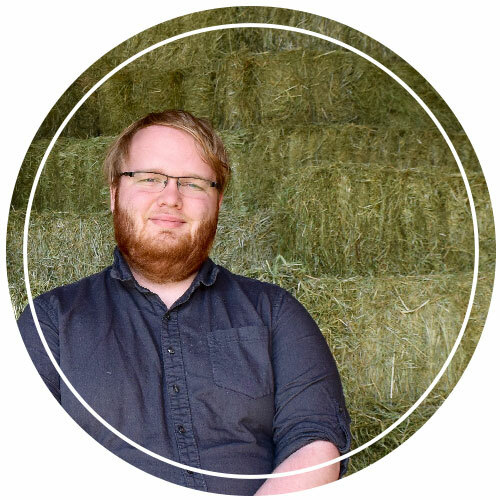 I grew up with several younger siblings and am looking forward to passing on my knowledge to the younger generation.